I happened to read an article recently about dividend increases expected in April, which got me thinking about good dividend stocks to own. Most investors view dividend stocks through the wrong lens. Typically, income investors are interested in yields of 3%-plus when they ought to be more concerned about whether a company can issue stock to consistently grow the annual dividend payout. You’ve heard of the payout ratio? It’s the dividends paid per share in a given year divided by the earnings per share in that same year. It’s favorable to have a lower payout ratio. So, let’s say you have two companies in the same industry. Company A trades at $30, earns $2 a share, pays out 25% of its earnings as dividends (50 cents), yields 1.7% and grows its annual dividend payment by 10% a year. Company B trades at $10, earns $1 a share, pays out 50% of its earnings as dividends (50 cents), yields 5% and grows its annual dividend by 5% a year. Which would you rather own? I’d go with Company A every day of the week and twice on Sundays. With that in mind, here are seven dividend stocks to own that are upping their dividend payouts by double digits. Starbucks Corporation (NASDAQ:SBUX) is one of my all-time favorite companies because of the way it treats its employees relative to other American businesses. The company is often selected as one of the best places to work because of Executive Chairman Howard Schultz’s leadership. He’s one of the best CEOs in the history of American business. Recently, Starbucks announced that it had closed the gender pay gap between men and women at its U.S. stores. 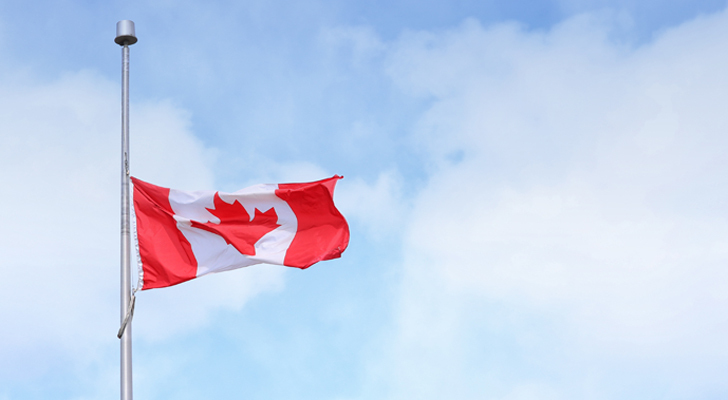 Now, it’s set out to do the same thing in Canada and elsewhere around the world. Doing the right thing doesn’t just feel good — it’s good for business. 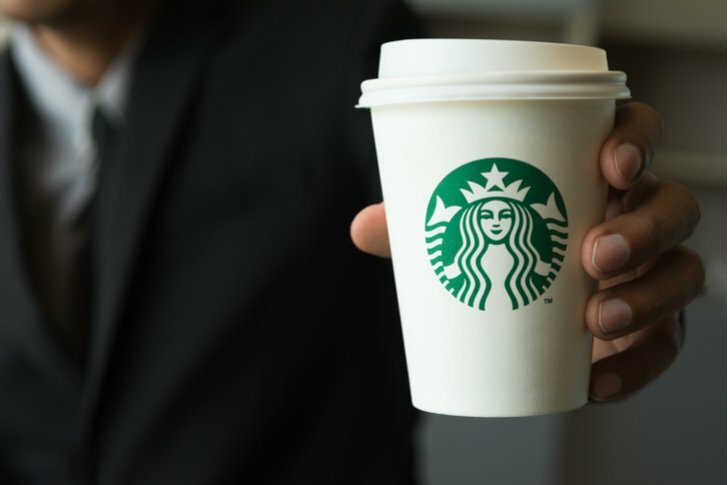 InvestorPlace Executive Editor Jeff Reeves calls SBUX one of the 10 Can’t-Miss Dividend Growth Stocks of 2018. I couldn’t agree more. Currently yielding 2.1%, Starbucks announced Nov. 2 that it was increasing its quarterly dividend by 20% to 30 cents, or $1.20 on an annual basis. It is the eighth consecutive annual increase by the company. Over the past ten years, Starbucks has grown its dividend by 500% on a cumulative basis. It’s not the 2.1% yield that counts, but the 20% increase. There’s money to made in underwear. Just ask the management at Gildan Activewear Inc. (NYSE:GIL) who announced a 20% increase in its quarterly dividend February 22 to $0.112 per share, its sixth consecutive annual 20% increase. In fiscal 2011, Gildan paid an annual dividend of 11 cents a share; in 2018, it will pay out slightly more than that in a single quarter. In the same period of time, its earnings per share have grown from 95 cents to $1.61 in 2017 and they’re expected to be at least $1.80 in 2018. This consistency in earnings growth is a big reason why Gildan’s stock’s grown by 8.3% on an annualized basis over the past five years, almost double the return of its apparel manufacturing peers. As the markets continue to get more volatile, having a steady grower in your portfolio will help you sleep easier at night knowing you can count on Gildan to get you through the worst of it. Much like underwear, Carter’s, Inc. (NYSE:CRI) operates in an industry that’s relatively protected from a fickle consumer. Its Carter’s and OshKosh B’gosh brands are known to parents coast to coast. As I stated in February, should the latest correction get really ugly, CRI is the kind of stock you want to own. It has a relatively small amount of debt at approximately 15% of its market cap, it’s building a solid e-commerce business, and is growing its margins which have translated into record free cash flow that’s been returned to shareholders in the form of buybacks and dividends. 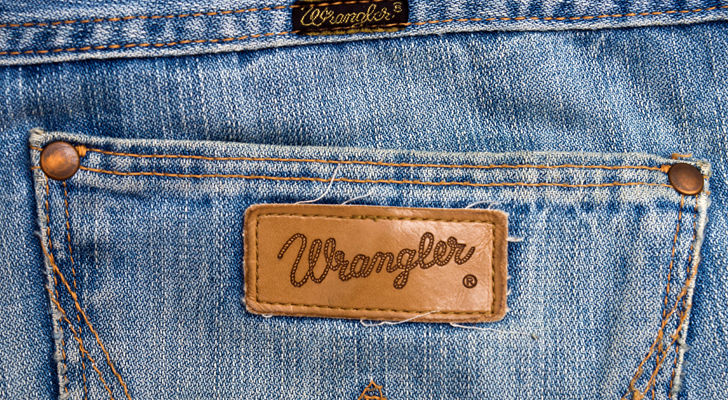 In late February it announced a new $500 million share repurchase program and a 22% increase in the quarterly dividend. It now pays out $1.80 annually yielding a respectable 1.8%. Since announcing its fourth-quarter results Feb. 27, its stock has fallen by almost 20% despite it delivering solid numbers. 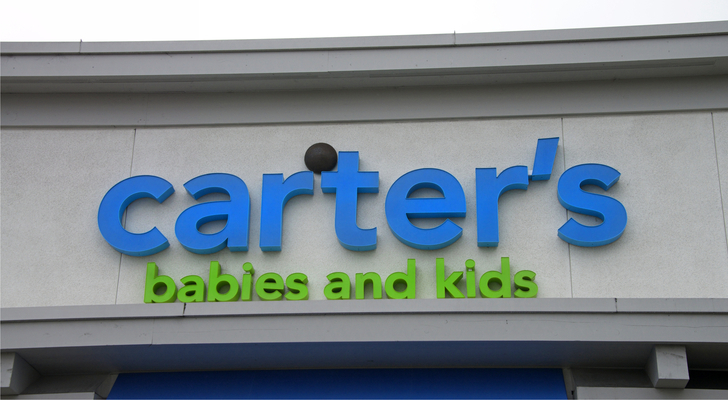 If there’s a “must buy” in my group of seven stocks to buy that are upping the dividend payout by double digits, Carter’s is probably the one. Two years ago, I suggested that VF Corp (NYSE:VFC) should buy Lululemon Athletica Inc. (NASDAQ:LULU) to give the apparel conglomerate the boost Timberland’s acquisition gave it almost five years earlier. However, VF went in another direction, opting to go through a bit of a transformation fine-tuning its portfolio of brands. Gone are brands such as 7 For All Mankind, JanSport, and Nautica — which it put up for sale in February, finding a buyer a month later — with very little taking their place as the company focuses on The North Face, Vans and Timberland. If you want to talk about steady businesses, VF is it. In 2017, it grew revenues and operating income by 7% and 10%, respectively, to $11.8 billion and $1.5 billion. Net earnings were a little lower year over year as a result of higher income taxes. The corporate tax rate cut will help with that in 2018. Its got debt of $2.1 billion, which works out to less than 10% of its market cap, and generates more than $1.2 billion in free cash flow, which explains its double-digit increases in the annual dividend. In February, VF announced it would increase its quarterly dividend to 46 cents a share, an annual payout of $1.84. Over the past five years, VF has increased its dividend payout by 19.9% on an annualized basis. It is one of only 53 Dividend Aristocrats. Do you care how honest CEOs are with shareholders? I’m talking Warren Buffett honest. Or do you just want the dividend checks to keep coming? 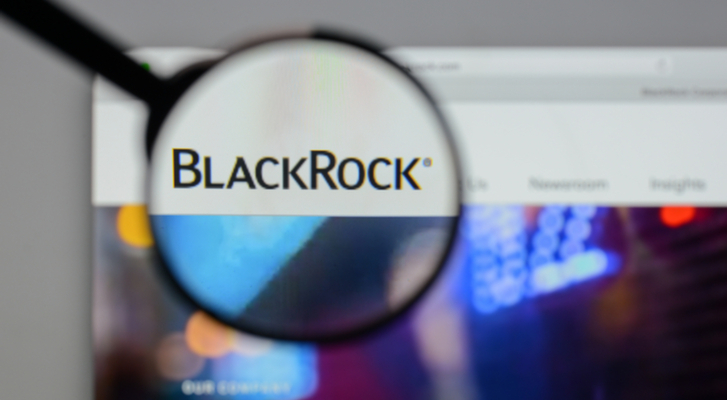 Many don’t care that BlackRock, Inc. (NYSE:BLK) CEO Larry Fink thinks companies ought to be more socially responsible. Billionaire real estate investor Sam Zell recently called Fink “extraordinarily hypocritical” suggesting that Fink’s push to get CEOs to do more was merely a nice PR stunt to satisfy the company’s mutual fund and ETF owners. I recently said Fink is one of seven CEOs that’s honest with shareholders. Whether Zell wants to admit it, Fink’s just talking about corporate stewardship, a concept that’s been around since before either man was born. I believe BlackRock shareholders are fortunate to have a person at the top who believes women and persons of color should sit on corporate boards. Diversity makes a company stronger. Oh, and by the way, BlackRock announced a 15% increase in its quarterly dividend January 12 to $2.88 a share for an annual payout of $11.52 a share or slightly less than 50% of its 2017 annual earnings per share of $22.60. Doing good doesn’t seem to get in the way of BlackRock making money, does it? Canadian National Railway (NYSE:CNI) is one of North America’s largest railways. The late Hunter Harrison, one of the industry’s best-known executives, used to run it. Recently, the railroad announced that it expects to increase earnings by double digits for at least the next five years as the economy in both the U.S. and Canada continues to perform well prompting higher volumes for CN. 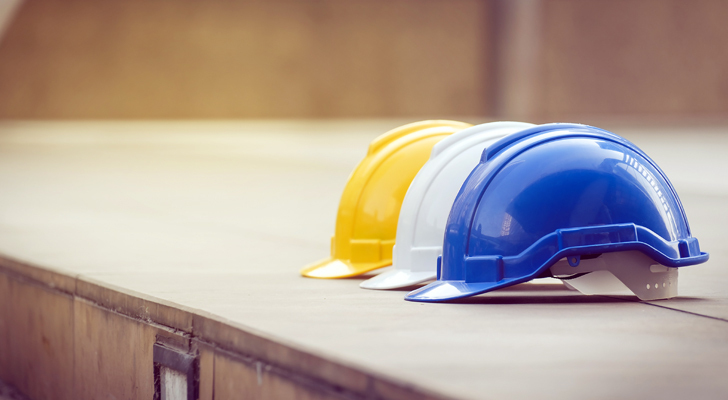 At the same time, it announced its fourth-quarter earnings, CN also said it would increase its March 29 dividend by 10% to $0.455 a share for an annual payout of $1.82. Currently yielding 1.9%, a five-year run on earnings growth will likely mean the same for dividends. However, there is a fly in the ointment. On March 5, CN’s board removed CEO Luc Jobin from the top job, opting to find a more energetic leader to take the company through its growth spurt. Analysts believe that CN is disappointing its customers with slow delivery times and an inability to handle the increased volumes prompting some to suggest it is losing market share to other competitors. Keep an eye on this consistent dividend payer. The right CEO could be just the tonic for an ailing CNI stock. Last July, I happened to write an article about Visa Inc (NYSE:V), in which I suggested V stock could drop if it disappointed when announcing Q3 2017 earnings. It didn’t. It’s up more than 20% since. I didn’t think it was going to deliver a stinker of a quarter. I was merely hypothesizing what would happen if it did. Frankly, in that same article, I highlighted the opportunity it had given how many people in the U.S. are still using cash. It’s enormous. It’s for this reason I named Visa one of the ten stocks I wished I’d bought in 2017. It had an outstanding bounce-back year. Visa continues to grow in North America and internationally and that’s music to the ears of dividend investors who’ve seen the company raise the annual dividend by double digits every year over the past decade as a result. 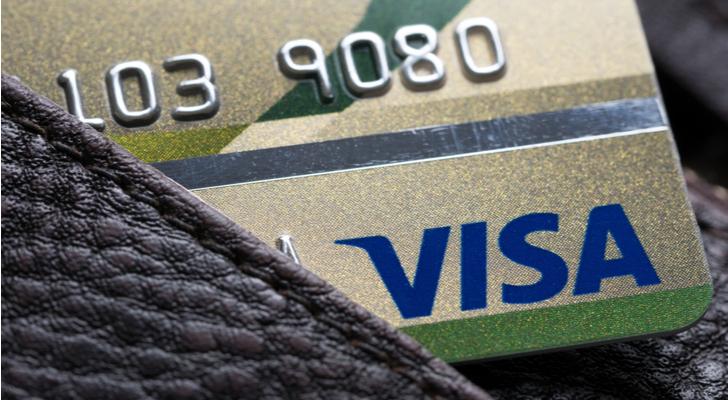 On Feb. 12, Visa increased its quarterly dividend by 7.7% to 21 cents a share. It might yield less than 1%, but as I said in the beginning, it’s the growth that counts. Article printed from InvestorPlace Media, https://investorplace.com/2018/04/7-dividend-stocks-for-market-safety/.